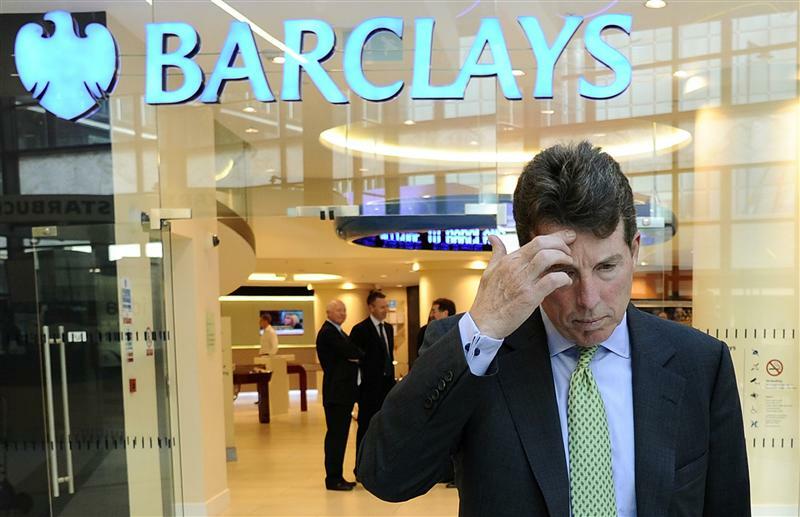 Bob Diamond should exit Barclays with decorum, not with a sack of cash. On the most generous interpretation of his entitlements, the UK bank’s ex-chief executive has left behind almost 30 million pounds. But Diamond’s long-term financial interest would be served best by leaving empty handed. Diamond could claim three types of payment. His contract comes with a 12-month notice period, so he might be compensated in lieu. A year’s salary, pension and bonuses could amount to as much as 13 million pounds. Then his existing performance-related share plans might be worth a little over the same amount, if he is judged to have met performance targets. Finally, there are restricted shares from previous bonuses, which vest in equal tranches over three years. These are potentially worth about 2.5 million pounds. But the board could assert that Diamond is entitled to a much smaller total. To start, he resigned with immediate effect, so the notice period may not be relevant. The departure may effectively have been a dismissal, but that was justified since Diamond had become a liability to the franchise. Any payment of the base terms would be a reward for failure. The right performance reward would also be a fraction of the maximum, even if Diamond qualifies an “eligible leaver”. By the boss’s own admission, Barclays’ recent performance has been inadequate, and the share price is in the doldrums. As for the restricted shares, 1.4 million pounds’ worth are subject to clawback – and should be clawed back. However much Diamond is offered, he would be foolish to take it, and not only because financial abstinence might make his conscience clearer. As an American with investment banking experience, the 60-year-old Diamond could plausibly take a senior role in a U.S. financial institution – an option never available to the disgraced Fred Goodwin of Royal Bank of Scotland. However, a Wall Street job would require good relations with UK regulators. A demonstrative bonus sacrifice would help rebuild Diamond’s standing in Britain. The return on UK goodwill, earned in U.S. dollars, could be very high. Bob Diamond waits to pose for photographs after being named as the company's next chief executive officer at a bank branch near their Canary Wharf headquarters in London in September 2010. What if Barclays hadn't lowered Libor submissions? Bob Diamond, the outgoing chief executive of Barclays, is under pressure to sacrifice any possible pay-off following his resignation on July 3.